Business Spotlight - Our Business is God’s Business! Gail Frances Gardner is the senior pastor of The Ingathering Christian Fellowship, and the founder and CEO of Woman to Woman Global Mentorship, Network (www.womenempoweringwomen.org), with associates as far north as New York, and far south as South Africa. She also the proprietor of RAPHA! Counseling Services and Empowerment Institute. She is the author of Woman to Woman: Gleaning Inspirational Insight From Our Biblical Mothers, and its companion journal, The Birthing Stool, (release in fall 2012), and Sister To Sister Counseling: Women Issues That Matter, (Spring 2013). Gail Gardner has served in ministry and church leadership for over 25 years including outreach and church planting. Pastor Gardner was born and raised in New York City but presently lives in Orlando, Florida. She is the mother of two sons and one daughter, the grandmother of five, and great- grandmother of three. Gail Gardner is a recipient of a master degree in Pastoral (Christian) Counseling. As a deeply committed, spirit-guided and spirit-filled servant of Jesus Christ, she applies her God-given abilities, skills, training, knowledge, and insights to the task of helping others move to personal wholeness, interpersonal competence, mental and emotional stability, and spiritual maturity. Gail Gardner considers herself an integrationist in her field as she integrates psychology, theology, and spirituality in her individual and group counseling sessions. Adrienne B. Gordon is mother of four and has been happily married to her husband, Gregory B. Gordon, Sr., for more than a decade. She works for the Orange County Attorney’s Office as a legal assistant, and she serves as a deaconess, intercessor, church administrator, and dance ministry leader at her church, The Word of Truth Christian Ministries, under the covering of her Pastors Tony and Inga DeWitt. Adrienne was inspired and lead by the Lord to start her Traci Lynn Fashion Jewelry business when her son blessed her with a beautiful mirrored jewelry box on her birthday. Adrienne’s Traci Lynn Fashion jewelry business provides exquisite, unique, and affordable fashion jewelry that compliments your inner and outer beauty. She believes that God gave her this business opportunity to encourage her to step out of her little comfort zone to allow God’s glory to shine through her life, and that the jewelry line represents the results of the inner work of much preparation and pain endured during the process of becoming all God has called her to be. As a witness of God’s transforming and healing power working in her life, Adrienne was totally and completely healed of breast cancer 9 years ago and clinical depression due to the condition. It was by the Grace of God, and through much prayer, worship, and praise, and staying in God’s Presence that Adrienne made it through her process and she desires to give back that same inspiration and hope to remind others that we are all chosen jewels of a royal priesthood who can make it through the working of the Refiner’s Fire, and come out as pure gold through Christ Jesus! Pamela Johnson-Ortiz, served our country for nine years and is a United States Army Veteran. She has lived in various states as well as overseas in Europe. She is a proud mother and grandmother. She holds a Bachelor of Science degree in Legal Studies and is currently working on a Masters Degree in Legal Studies. Pamela has also has worked in the profession of Real Estate since March 2000 and is currently a Broker-Associate at Fusilier Realty Group. She joined the Visalus Science Corporation a Health and Fitness Company in 2012. Losing 62 pounds has shown her your health should be a priority; make time to care for the one vessel God has given us. She is now an advocate and promoter of the companies “90 Day Challenge” sharing their goal to stamp out obesity. Pamela also started a nonprofit 501c3 Corporation, “The Hatton Legacy Foundation” in memory of two of her children who have passed on. She hopes to help others through giving and meeting needs that may otherwise never be met. Pamela is a proud member of Business Women Inspirational Network (BWIN). She knows emphatically that this group of women empower, motivate and share their lives not only to succeed in business but also to spur each other on to greatness through the message of God first. Rachel Curry For over 38 years Dr. Rachel Curry has taught the Word of God. Her unique presentation of the Gospel has enabled her to minister to many denominations and organizations across the United States in addition to Haiti, the Bahamas, Canada and Mexico. Her gift has made room for her, allowing her to minister on diverse platforms and secular arenas. It has been her privilege to speak at various retreats, conferences, seminars, corporations and businesses. Dr. Rachel is a Christian Counselor, writer and author, President of Rachel Curry Ministries, Inc., and Owner of Curry Consulting Group LLC(assist entrepreneurs, small businesses, organizations, individuals and credit assistance, budgeting & finances). 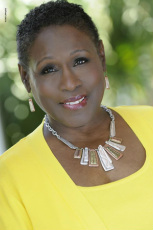 She serves as the Chairperson of the Business Women Inspirational Network, Inc. and is a Licensed Florida Realtor. Dr. Ruth L. Baskerville is a fairly new member of BWIN, having joined initially as a networking avenue among professional Christian women and men to promote her novel about racism in education, called HOODLESS KLAN. While she is a new author, her career of 42 years was in education, serving as a high school English and Theatre teacher, school administrator K-12, and central office Director of Curriculum/Staff Development and of Human Resources. She holds Doctorate in Educational Administration from Seton Hall University in South Orange, NJ, and is certified to be a Principal through Superintendent in NJ, FL and GA. She's earned dozens of awards and certificates for service to the community and the educational system, and received special recognition for turning around more than one failing school by setting a standard of excellence and then nurturing a dedicated staff to ensure that students met that standard. Victoria Cooper, is a passionate entrepreneur and has been in the field of Customer Service for over 25 years. She holds a Bachelors degree in Marketing Management and Associates degree in Computer Operations. She is a proud mother of 2 young men, age 16 and 14. Victoria took her passion for entrepreneurship and love for candle and created Light of Es’Scents by Victoria in 2009. She also, works full-time for a Swedish Hardwood Flooring Manufacture while pursuing her dreams of building her own business. With her hard work and determination, Light of Es’Scents will be launching their website on May 1, 2013 and she has started a Blog called, “Taking Time for You”, which focuses on importance of you de-stressing while taking time for yourself. Her vision is more then just selling candles, it about helping and touching people lives she meets on her great journey. Victoria also serves as the Administrative Secretary for Prayer World Central International with Apostle Carolyn Cooper.